Call (303) 949-2593 for Fast Water Line Service! At King Rooter & Plumbing we offer drain camera inspection services to residential and commercial customers in the Denver metro area. When your drain line system is backing up a camera inspection should be done to determine the cause of the problem. Some indicators of a sewer problem include sewage smell, toilets that don’t flush, backed up kitchen drains, and sinking ground. 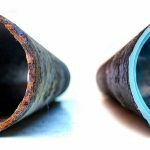 As old pipes age, they begin to deteriorate and clay or concrete pipes crack, suffer tree root invasion, and shifting ground causes pipes to separate. These conditions can be indicators of problems in your side drain which is the lateral line from your home to the city sewer main. Our drain video inspection service enables us to provide you with a thorough inspection of the drain line, pinpointing any problem areas and cause of the pipe failures. Once the problem has been discovered, the next step is to locate the exact position of the clogged or broken pipes. Pipes usually do not run in a straight line, so to locate the pipe a pipe locating transponder must be used. The transponder locating device sends a signal from the camera head in the pipe to our device on the surface that tracks it, and we can mark precisely where and how deep where the pipe repair is needed. 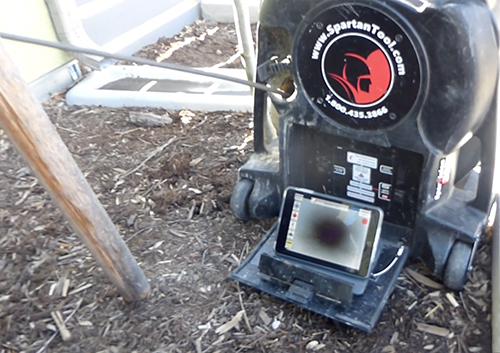 We use the Spartan Sparvision 200 Sewer Camera, the smartest technology available. 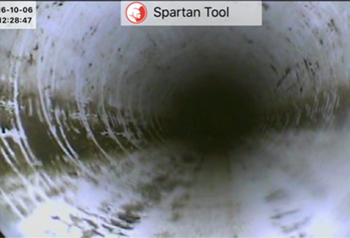 This state-of-the-art drain camera equipment let’s us see inside your sewer line in real-time. A camera line is inserted into your sewer line, and the video is fed back to our monitors allowing us to visually inspect the entire line. We can then provide you with a thorough and accurate diagnosis of what the problem in your drain line is. 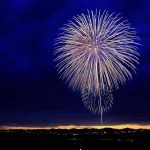 We can see if there are any blockages, tree roots, cracked or broken lines, or low slope or “belly” areas that need to be repaired. 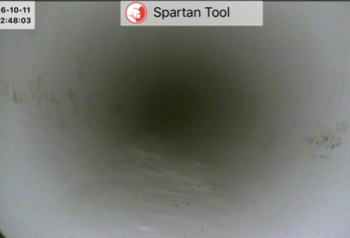 You will benefit greatly from having a drain camera inspection performed. This way, you will know exactly what the problem in the drain line is, and you will not be hoodwinked into replacing the entire drain line if it is not needed. 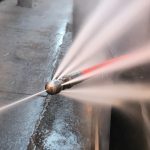 You may just need a simple drain line cleaning, or spot repairs. In the event that drain line is severely damaged and needs replacement, you will have peace of mind knowing that you are replacing the drain pipe because it absolutely requires it. We offer top quality drain camera inspections starting at $95. This includes a full inspection, written report, DVD, and a posting of the video online for your viewing.